Ideal Ayurveda resort is one among those perfect places where travelers get to enjoy both comfort and rejuvenation therapies of Ayurveda. As the name suggests, Ideal Ayurveda Resort, the resort mainly aims at to cure all the disorders and illness of any of the individual. In fact, all the treatment given here are natural and come under affordable rates. As soon as you step in the resort, you get a feel of a dreamland that offers holistic treatments which can restore your body balance including physical, emotional, psychological and spiritual stability. Some of the therapeutic treatments the resort might help you with are stress problems, nervous disorders, respiratory problems, obesity management, high cholesterol and muscle skeletal disorders. Moreover, in order to make guests comfortable, the resort offers amazingly designed rooms with balcony and cottages, to choose from. The rooms are well-facilitated with all requirements with attached washrooms. Other than treatments and therapies, the resort boasts of simple and attractive accommodation to pamper the guests. The guest house here comprises of 10 elegantly designed spacious rooms that are fully-equipped with all important in-room amenities along with en suite washrooms. All the rooms feature a balcony overlooking a pool where individuals can spend some time adoring the serenity and scenic surrounding. 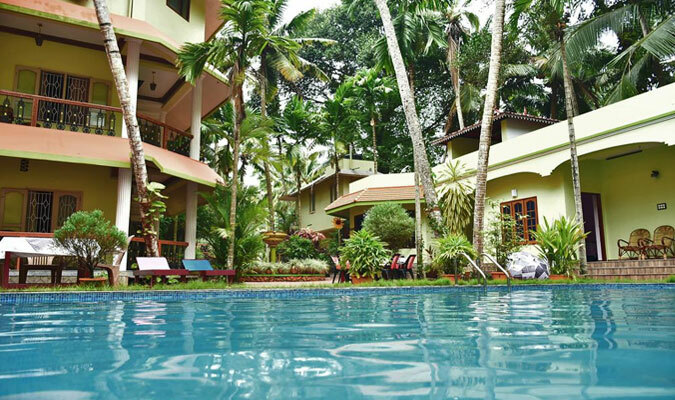 In-addition, there are four traditional Kerala styled cottages which are well-set with all luxuries. You can choose the accommodation according to your own choice and comfort. 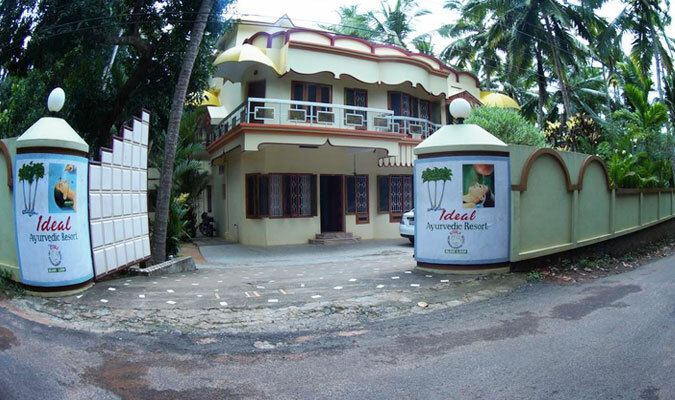 Ideal Ayurveda resort has taken a good care in cleanliness and maintenance of all the rooms and cottages. All the sections are cleaned regularly and have clean bed linen. All the toiletries are supplied fresh, each morning. The continuous supply of hot/cold water is also sterilized. Savor delicious but nutritious cuisines of different variety at Ideal Ayurveda resort. The resort mainly focuses on Ayurveda; therefore, the food served here constitutes of equal proportion of salt, sweet, spicy, sour, bitter, hot and cold. As in Ayurveda, it is believed that the food that we take affect doshas in our body. Guests can either enjoy their food in the open dining area or in the courtyard which is in vicinity to the enchanting greenery. Separate dining can also arranged for guests who want some privacy. Above all, if you are under any Ayurvedic treatment or therapy, you can share your dietary chart with the chefs here, so that the food served to you should follow the treatment program. For food lovers, the resort has a lot in store. The multi-cuisine kitchen here offers vegetarian and non-vegetarian dishes including European, Kerala and Chinese delicacies. Guests can order the food according to their own preference.